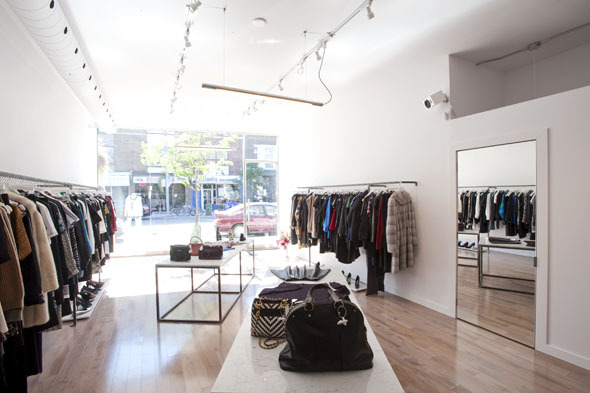 VSP Consignment, a Toronto-based spin-off of Vespucci , Calgary's 8,000 square-foot ladies' consignment department store, can hardly be pigeonholed with the classic perceptions of a consignment store. 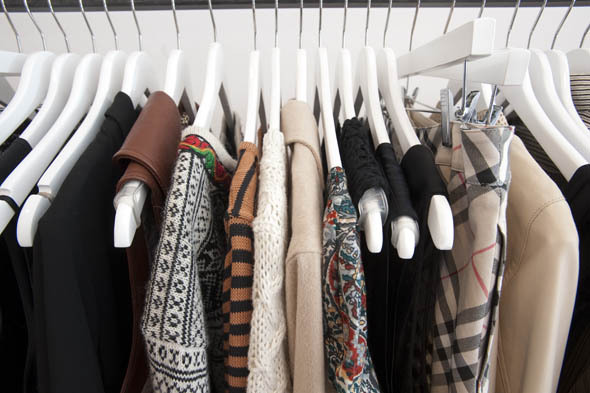 It's not massive, the clothes aren't organized hastily by type, and you don't have to dedicate an entire day of hunting to find the perfect piece for you. 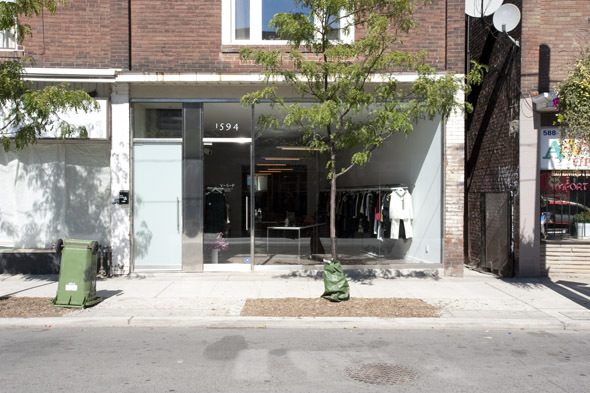 Instead, VSP looks more like a small-scale Holt Renfrew , filled to the brim with designer gear for women, including shoes I may or may not have drooled on during my first visit. The white walls and barebones furnishings were either intentional or a sure sign they hadn't yet settled in - whichever it is, the rectangular room's extreme minimalism made it difficult to look at anything but the bountiful racks of clothing, carefully merchandised into unmistakable colour stories. Britt Rawlinson, the owner, was quick to explain that VSP's an edited version of Vespucci. She understood that a hunt could be fun, but more often than not, a Torontonian mover and shaker wants to sift through a stock that's already handpicked for them. On that note, I made a beeline toward a floral-printed vest in rich, autumn hues. I looked at the tag. 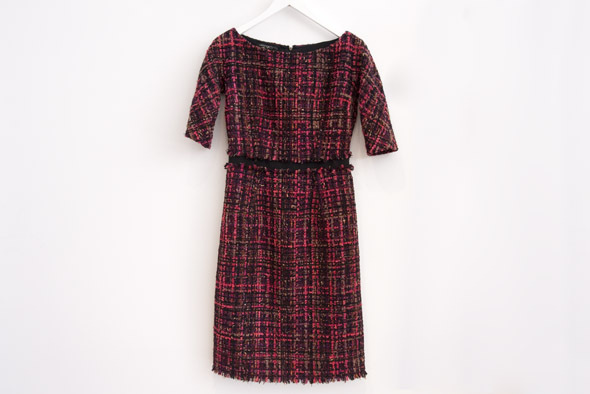 Marni. Of course I'd be drawn to it first. I cautiously glanced at the price, "Original price: $1800," it stated, "VSP price: $398." Whoa. Next up was a Chanel blazer in next-to-perfect condition - classic black and white tweed, of course. "Original price: $6000," I read, "VSP price: $2298." Double whoa. I then swept to the opposite wall and picked up a baroque-print bodysuit. $38. Confusion. "The thing is, we're not just designer. 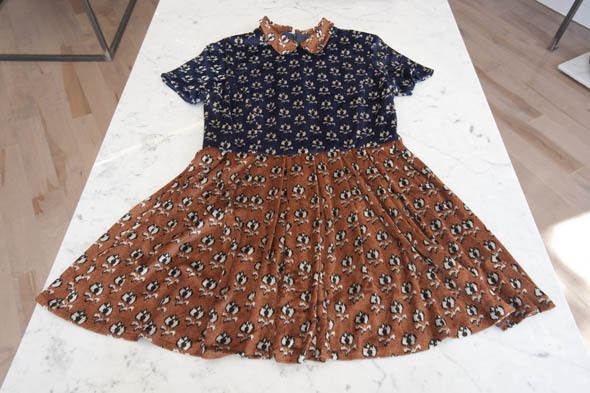 We carry Gap , Club Monaco , no name vintage pieces..." Britt pointed out, "It's more of a style and a look that we're going for." 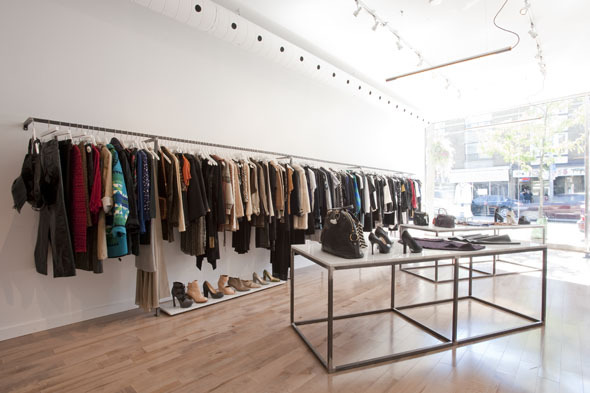 At that point, I had to spring a question about what they'll take from a consigner, knowing at the back of my mind I had a whole slew of fun stuff hanging idly in my overstuffed closet. She laughed, "We'll take anything awesome! Bring it all in and we'll go through it together." Next time I pop by, I'll know exactly what to expect: a lovingly curated collection of hip gear at a fraction of the price. Here's to hoping I won't drool on anything again.